This follows another issue with phpBB related to PhpBB errors in snippets of Google search results. A php error has been displayed instead of the snippet description as you can see below. phpBB exists since 2000. I thought that stability was now guaranteed but now, I understand that everything can change at any time and PHP open source forum software from the past may not be good today. Update november 2018: The errors above have been fixed in 3.2.2. Nevertheless, we wanted to you to be aware that this happened. On top of that, we had issues with phpBB themes bought on themeforest. In fact, we faced this issue with all the free open source internet forums. We bought myBB, SMF and phpBB themes. They all counted missing images, faulty buttons, inappropriate layout, and hidden texts. We also noticed broken phpBB installation after a theme update. On top of that, the modifications of the themes may also disappear during an upgrade if you overwrite some PHP files. Plugins may stop functioning after an update of phpBB. There are many plugins that aren’t maintained anymore by their authors. There are today around 300 phpBB extensions (plugins). Among those phpBB extensions, we haven’t found any extensions related to paid membership or user upgrade. This is a huge disadvantage compared to paid internet forums like Vbulletin or Xenforo that feature a paid membership module by default. Nevertheless, we found that there are many extensions to protect PhpBB against spammers thanks to stopforumspam and akismet. There was a thread on the phpBB community forum about SEO friendly URLs. 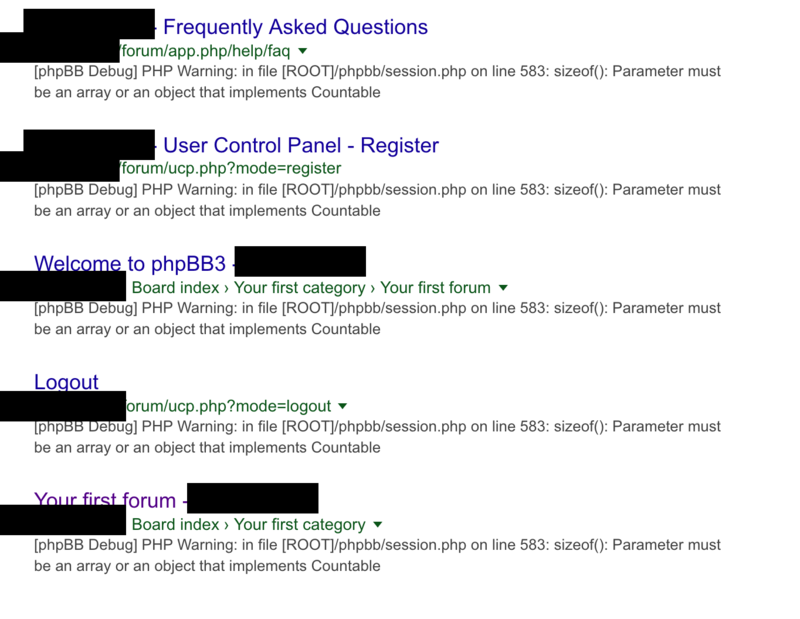 phpBB contributors are not for SEO friendly URLs where the URL of a phpBB thread should be the title of the thread. Today, every page is described thanks to two variables like below. However, we know that Google does not like variables. Also, we found that Googlebot visited the listing page of online members by default. It looked like garbage in the Google search results. There are many small issues with phpBB. If you talk about one issue, in particular, it does not look like a major issue. When you put all those issues all together, it means that in order to fix every issue from phpBB you have to spend months to fix them all rather than focusing on building the community of your internet forum. There is a huge gap between paid internet forums and open source internet forums in terms of features. Everything that you find obvious (SEO friendly URL, nofollow links on posts, +1 like system) isn’t easy to install on a phpBB. When you install phpBB forum, it looks like a complete solution but in fact you have to install many plugins to make it “ok” from a SEO point of view and also to protect your internet forums from spam bots. I think that for someone who is looking for a PHP/Mysql forum, the paid internet forum software are the best. Here is our comparison between paid and free internet forums. For those really looking for a good internet forum, take into account that there will be a lot of coding and dangers. Then, I would encourage to move to NodeJS with nodeBB but still you would miss user upgrade (paid membership) 3rd party protection (akismet, stopforumspam).